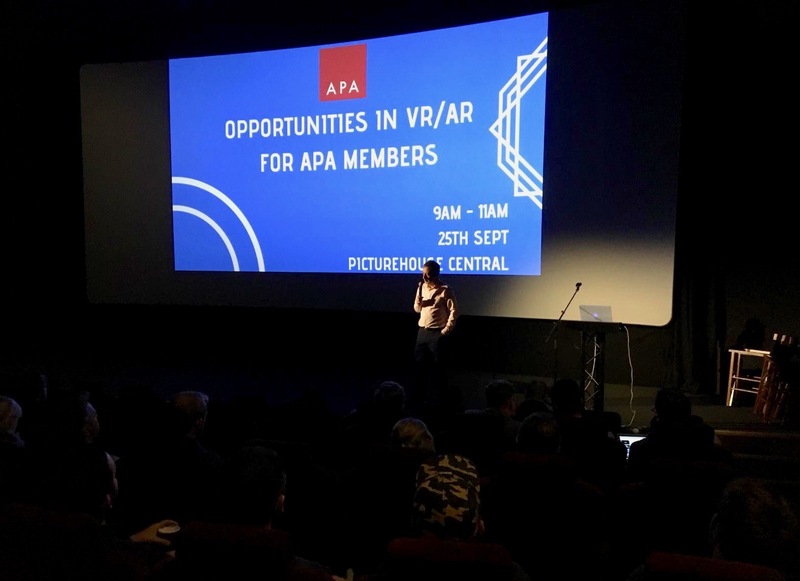 VR and AR are now real opportunities for APA members, with many of you having undertaken VR or AR projects and being keen to develop your expertise. With this in mind, we held a seminar this week bringing together experts from across the field and APA membership to give you the chance to learn more and answer some of your key questions. For those that couldn’t make the seminar, we have rounded up the key points from each speaker below. If you’d like to get in touch with one of the speakers then please contact [email protected]. 1. Online user behaviour is changing with the Web 3.0 movement of decentralization. Accelerated by the big tech companies proving that they have too much control by mishandling the world’s data. We are working out what this means for life experiences and where these people will interact with people in the future. 2. Imagination is focused on storytelling for the audience of the future. Social XR (covering anything VR/AR etc.) is the nucleus of our Immersive strategy. 4. You are all invited to the lab at Imagination to get hands-on with the latest technology, listen to talks or what we’re super interested in is proactive collaborations under our partner programme to discover new things together with shared IP. Alex Chapman and Jamie Smith are Partners of Sheridans Interactive Group. Alex’s practice focuses primarily on the interactive entertainment, digital and creative industries. 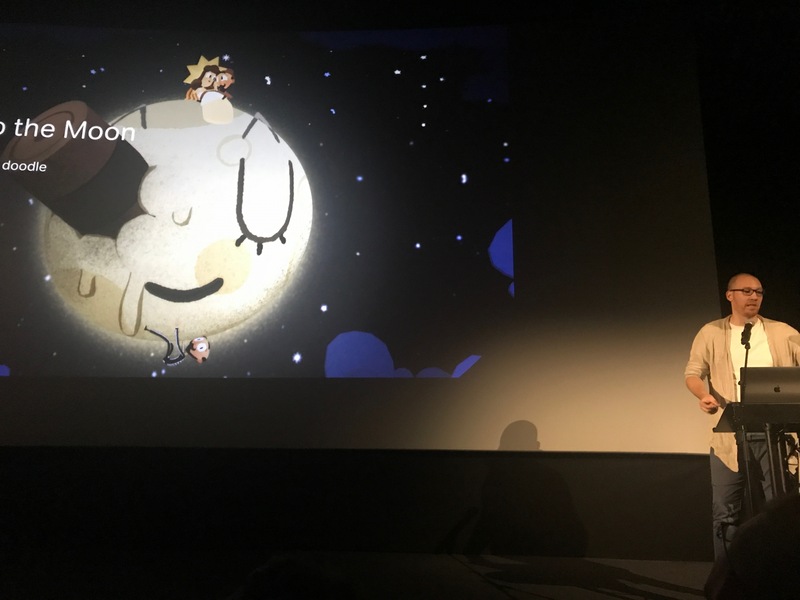 Alex now acts for some of Europe’s top games companies and also advises within the creative industries, with a particular focus on the exploitation of rights. 1. 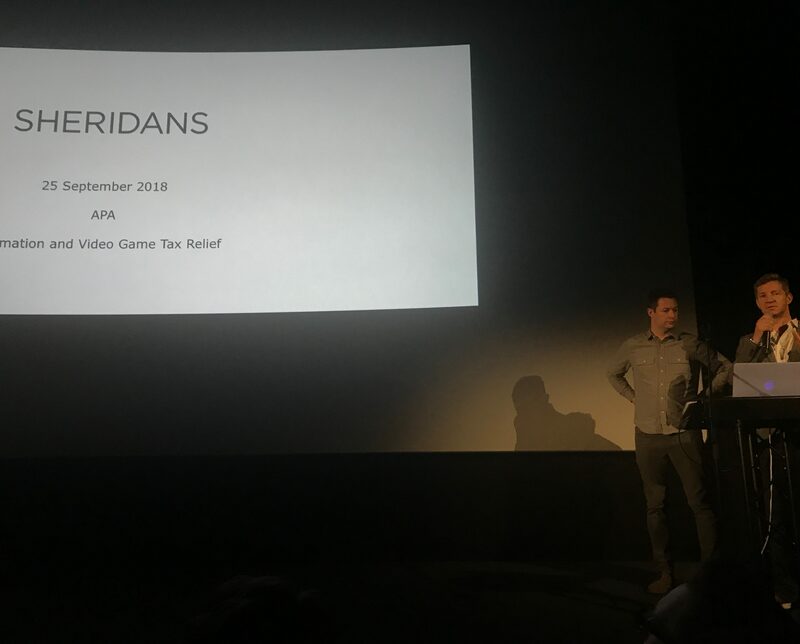 Cultural Tax Relief (like Video Games Tax Credit and Animation Tax Credit) is available to a far wider group of businesses and applications than you might think including, in particular, VR applications with some degree of interactivity and consequence (Games) and brand funded short form animations that aren’t just adverts. 2. There are certain rules to satisfy and process to go through but structured correctly it could mean a cash payment of 20% of what the client pays for you and your teams to produce the work. 3. It is possible for you to claim for historic projects that were completed in the last 2 accounting periods (even if they were started before then). Tom Campbell joined us from ImmerseUK which was set-up in 2016 to help support the immersive tech space by promoting business growth and positioning the UK as a world leader in the sector. 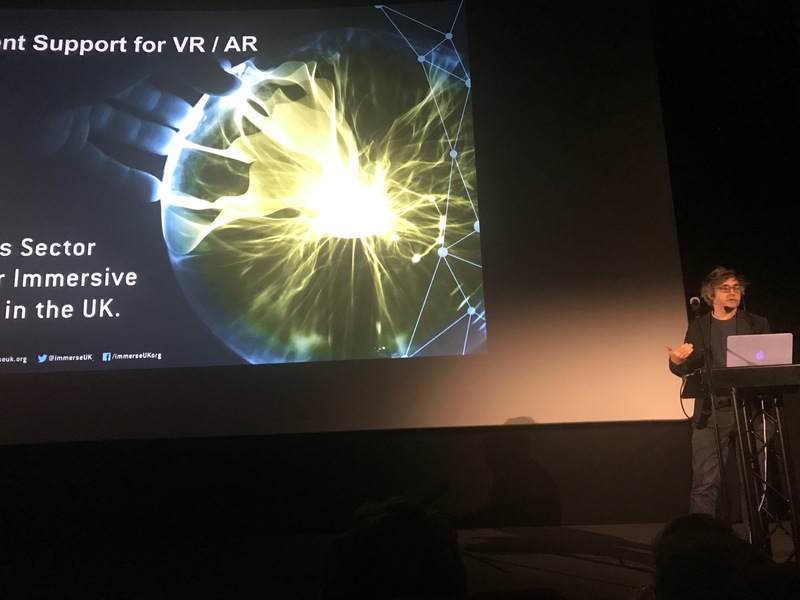 Tom spoke about how much economic potential there is in the immersive sector highlighting there is already £660 million in sales in the sector which potentially represents as much as 9% of the global market share. Liam Walsh is the Creative Technology Director of Interactive Arts, the team at Nexus Studios dedicated to harnessing emerging technologies in story experiences. 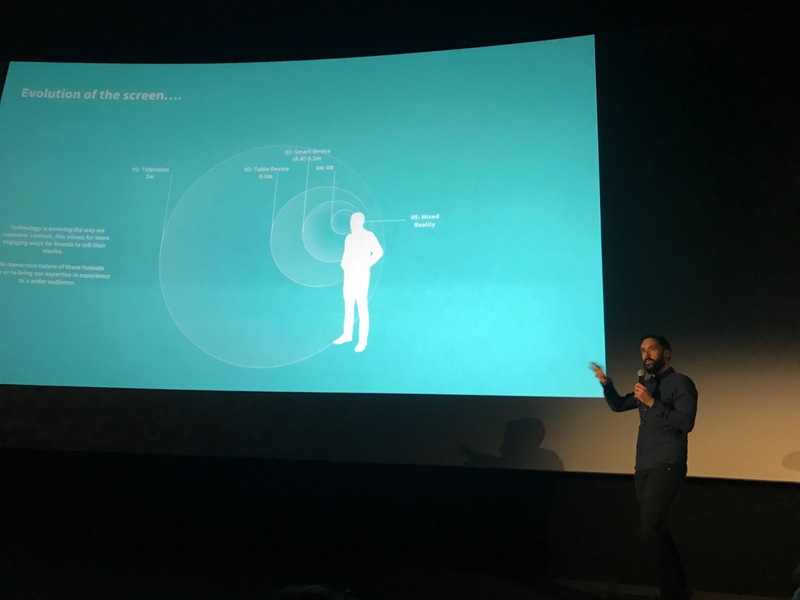 For over 10 years, Liam’s research, ideas and coding work across the motion graphics, video games, toy and publishing industries has pushed the boundaries of possibility and been awarded numerous awards including a D&AD Black pencil, a BIMA award, and a Cannes Cyber Lion. There is a brief window when your content will be noticed just because of the technology you’re using, but this window is very small and requires you already knowing that technology fairly well, so you don’t get caught up in the hype yourself and overextend. The key to making the augmented content meaningful is context. AR on it’s own isn’t meaningful enough – the interplay between the real and the virtual, and the personal and the general is key. Oftentimes the user is the context that drives the experience. Technology marches forward at a relentless pace – and sometimes what was impossible, or wildly expensive a few months ago is suddenly within our grasp – keep your eyes and ears open and constantly be experimenting with the new toys. Ben Lumsden is Business Development Manager at Unreal Engine, part of Epic Games. Ben previously spent five years at the helm of Andy Serkis’ The Imaginarium Studios, where his credits included Star Wars: The Force Awakens, The Tempest (RSC) and Star Citizen. He joined Epic Games in 2017 to focus on the ever-expanding use of Unreal Engine in the world of media and entertainment. When it comes to meeting the needs of clients, having the speed and flexibility to iterate quickly is particularly invaluable in product design. That’s why many of today’s designers and visualisation specialists are turning away from slower, traditional offline rendering methods in favour of adopting more efficient real-time workflows that streamline the process of crafting great 3D design. Media companies are doing the same thing, with 89% of companies trying out real-time rending and 59% planning to use it in production over the next year. Epic Game’s ‘Fortnite’ game has been one of the big success stories of using Unreal Engine. 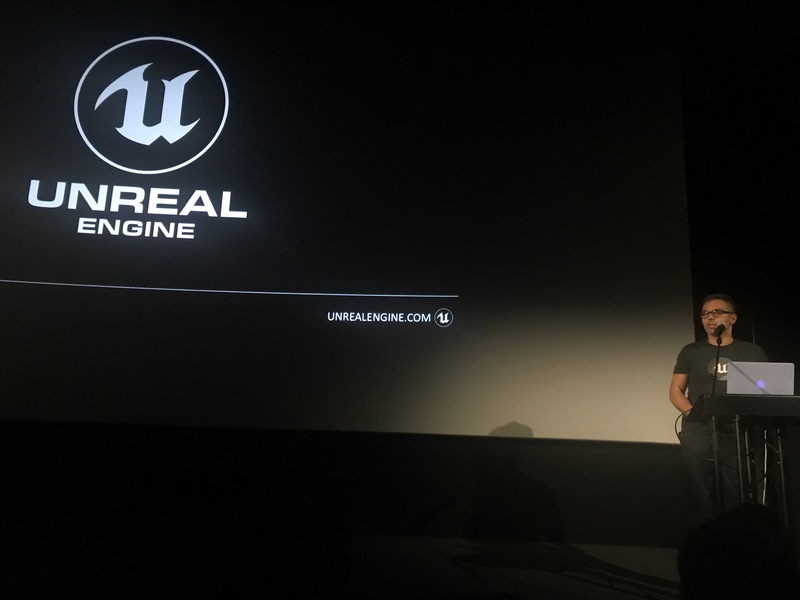 To maintain cohesion in the game across the many platforms it’s available on, the team working on Unreal Engine had to implement various solutions to problems that arose. The solutions and tools they used to do this are now available for everyone to use for free in Unreal Engine 4.